An authorized Sennheiser dealer, Headphones.com has recently expanded their Sennheiser selection and now carries a majority of their headphone line. ...we believe it’s due to the innovative technology that is included with each pair of Sennheisers. 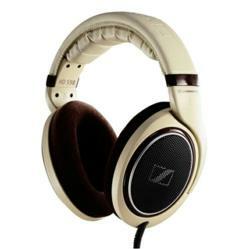 Headphones.com, a leading internet retailer of headphones and headphone accessories offers carefully selected Sennheiser headphones. Each of the headphones was carefully merchandised based on demand in each application including sporting headphones, wireless headphones, and portable headphones. All of these styles allow users to bring audiophile quality sound wherever they find themselves, from running the streets of New York City to enjoying an entertaining movie while the kids are sleeping. Sennheiser headphones offer cater to listeners of all levels. Whether a consumer is just entering the world of audiophilia, or if they are a seasoned veteran, Sennheiser offers the perfect product for every music style and budget. Popular models consist of the Adidas sport series which includes technology innovations that allow users to clean their headphones after vigorous workouts, the MM series of headphones that allow users to connect via Bluetooth technology, and the high definition HD series headphones which are fine tuned for the keenest of ears. Sennheiser also offers gaming headsets for gamers that want to be completely immersed in their game. The clarity of the Sennheiser gaming headsets rival, if not surpasses that of its closest competitor as these headphones utilize the same engineering and capabilities their non-gaming counterparts possess.